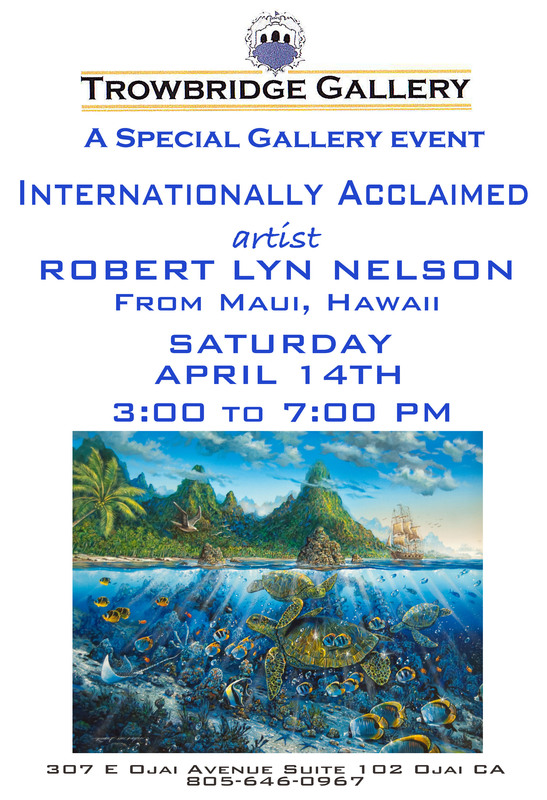 The Incredible Artist ROBERT LYN NELSON of Maui, HI will be at Trowbridge Gallery in Ojai California for a special showing of his original paintings. This artist is world renowned and highly collected by many, including US Presidents and numerous celebrities. Everyone is invited to stop by the Gallery and chat with Robert on Saturday April 14th from 3:00 to 7:00 pm.